For over 25 years now, Derek Percival and his team have been working with and advising teams across a wide variety of different Industries, Cultures and Business Imperatives. Derek has identified 7 key stages of a Team’s Journey to achieve Sustainable High-Performance. It’s likely that you will identify with these 7 key stages through your own experiences, joys and frustrations when working in teams. There are signposts and challenges that typically determine whether a team is succeeding collectively? For instance: the stage Behaviours. Sustainable High-Performing teams understand and support a set of implied or documented behaviours that are expected of all team members at all times. These behaviours are respected and protected by the team. The behaviours give meaning and relevance to the collective team. 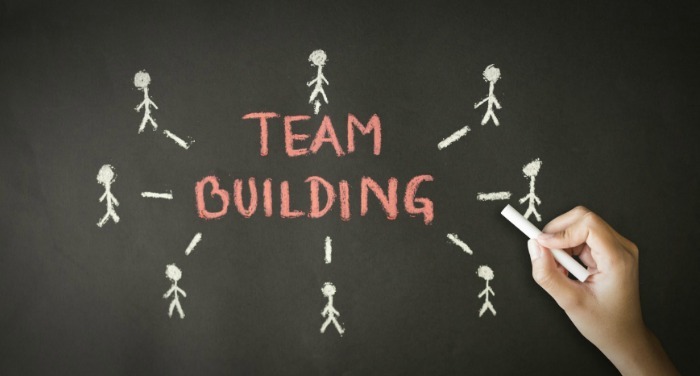 How does your team ensure that each member feels connected, supported and challenged sufficiently to stimulate productivity and genuine engagement? How do increased expectations impact the team and its members? What considerations are given towards the welfare of team members and the evolution of the team? Through research, practical application, adaptation from lessons learnt and an overall pragmatic approach; Derek and his Team have devised simple yet powerful effective tools to help guide your team on its way to Sustainable High-Performing results. Derek's Team Journey is available as a facilitator lead program where insightful facilitators will lead you and your team through this journey. Derek will identify the most appropriate timeline for the program; any internal support required and will implement a monitoring program so that the evolution of the journey can be easily identified. Your facilitator will also provide insights and recommendations to enhance your organisation's operation. Derek's Team Journey can also be utilised as a program that can be run in-house by your own facilitators with external assistance from our team specialists. This model has been tested. It has real rigor and impact. If you would like to know more about Derek Percival's Team Building, keynote speaking or corporate training click here to submit your inquiry, or call us directly on 1300 55 64 69. Derek Percival incorporates into his programs some practical step-by-step ideas, along with realistic examples of how to overcome the obstacles that we inevitably face in life. As a facilitator, Derek has conducted life coaching, leadership, team cohesion and work/life balance programs throughout Australasia, South East Asia and South America. Derek has designed and conducted specific programs for large multinational organisations including AMP, ANZ and BP.